The new school year is upon us! Want to send your kids off on the right foot? It starts with how you treat their teacher….. It was the end of summer but the early morning air bit through my long black skirt as I stood at the end of the line. In front of me, 25 sixth graders stood shifting their feet as they said the pledge of allegiance and listened to the principal welcome them to a new school year. I knew the kids were nervous, but I prayed that they could not see my own insides churning. I had been preparing for years for this moment. My first day of teaching. I ushered the children into my classroom, closed the door, and looked out over the sea of faces. I leaned against the door and wondered, “What do I do now?! Did they really just put all these kids under my care for an entire day?” Thankfully, that ten seconds of fear would be the only time I felt panic. All the years of training and my deep desire to love and care and teach children came rushing through my heart and mind and we were off to one of the most special years of my life. After nearly ten years of teaching both elementary and high school students, I look back on those days as some of the most wonderful moments I have ever experienced. This year, the shoe is on the other foot. I’m the parent, sending my firstborn to Kindergarten. As much as I am trying not to be anxious about sending him off to school, and knowing that I am going to miss him terribly, I am also excited for him! He is going to meet other little boys who also like to play tag, learn how to plant a garden, and even begin to read more complicated books all on his own. And he will have the chance to inspire and bless the life of his teacher, just like my students did for me. Parents, one of the best things you can do for your children who go to school is to be generous and kind towards their teachers. I remember those many long days and nights of shopping for just the right shade of glitter for an art project, sitting hunched over a computer entering grades and rejoicing over the hard work of my students, and holding down both a full time teaching job and going to graduate school full time so that I could be the best teacher possible for my high school English students. I worked tirelessly and I gave it my whole heart. I loved my students…and still do. Here are some ways that you can show appreciation to the teachers in your schools that will give them a boost, build a bridge of better communication between you as the parent and the teacher, and ultimately show your kids how to be generous and respectful of those who are giving them both an education and a piece of their hearts. 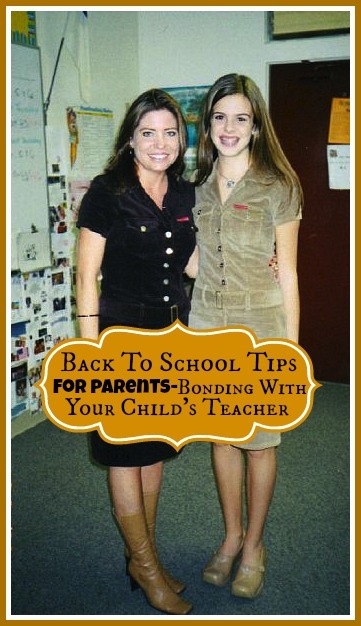 Building a bond between you and your child's teacher is simple but takes intentional actions. 1. Take the time to introduce yourself at some point when it is convenient for the teacher. Tell them how much you appreciate their hard work. This goes for high school teachers too-they usually never get to interact positively with parents and are especially touched by your thoughtfulness! 2. Send them a note of appreciation for something specific they have done or something nice your child shared about what they are learning. Do this monthly! I am not a “saver” by nature, but one of my prized possessions is a box full of notes from students and parents. I kept Every. Single. One. 3. On occasion, if budget allows, bring them a coffee. Or tea. Or a jar of homemade jam. Anything. And do it just because! Even the smallest gesture goes a long way. I cherished any small gift of thoughtfulness that a student or parent shared with me! To this day, I have many small and big gifts that I treasure from former students! 4. Go out of your way to wave and smile at them when you see them in public. Its okay to say hello and thank them for teaching your children-don’t feel like you have to have a long conversation, but don’t pretend they are not there! I loved seeing my students out of the classroom-and they were often amazed that I don’t live at the school-little kids are so cute that way! 5. Encourage your kids to follow in your footsteps. Ask them to come up with ideas of ways they can bless and honor their teachers (and office staff too!). Help them write a thank you card, or draw something special, or bake them cookies. It’s all part of teaching our children to respect and reverence the authorities above them while also thanking them for the many behind-the-scenes responsibilities they take on every day. Teachers often feel taken for granted, and when you show them that you notice them, you are helping them feel inspired and appreciated. That can only benefit not only them, but the whole classroom. Teachers are human. They respond to kindness. Even if you feel like the teacher your student has isn’t the ideal teacher for your son or daughter, you can help the situation or hinder it. Start with honey, give them the benefit of the doubt, and demonstrate respect and thoughtfulness first. My prayer is for all of us who read this today, that we will have a fantastic and blessed school year ahead! Start off on the right foot and show your child’s teacher that you don’t take them for granted. I guarantee you that it won’t go unnoticed and you will be building a strong foundation for your kids who learn from you as much as they do in the classroom. YOUR TURN!! 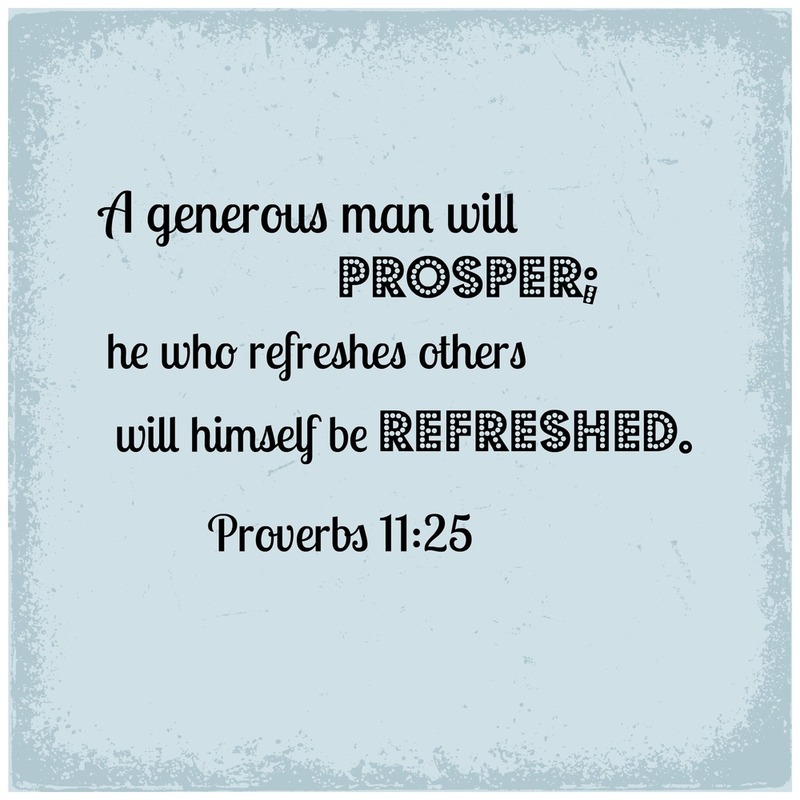 Are you a former teacher who can share what kinds of gestures blessed you? What ways have you demonstrated creative thoughtfulness towards teachers and staff?